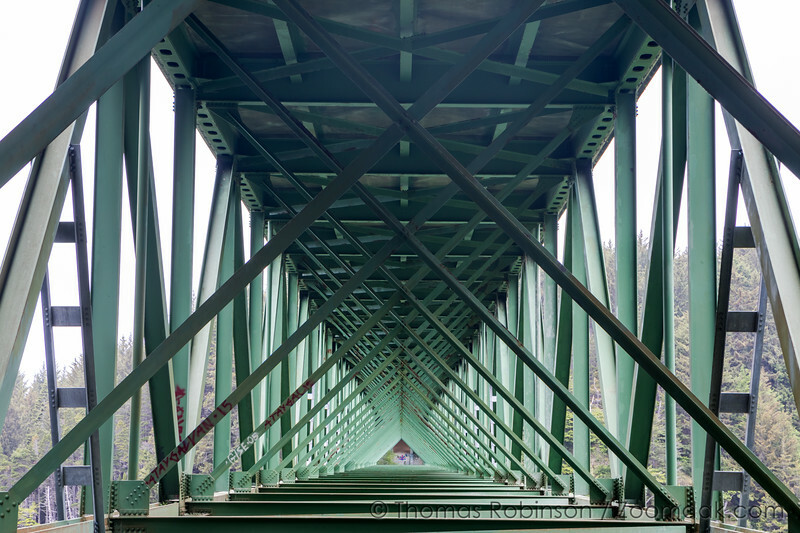 Standing at 345 feet (105 m) Thomas Creek Bridge is the highest bridge in Oregon. This Highway 101 bridge crosses Thomas Creek in Samuel Boardman State Park on the south Oregon Coast. Where The White Stripes - Seven Nation Army song lives in physical space.